Rice University scientists have developed something akin to the Venus' flytrap of particles for water remediation. BPA is commonly used to coat the insides of food cans, bottle tops and water supply lines, and was once a component of baby bottles. While BPA that seeps into food and drink is considered safe in low doses, prolonged exposure is suspected of affecting the health of children and contributing to high blood pressure. The good news is that reactive oxygen species (ROS) – in this case, hydroxyl radicals – are bad news for BPA. Inexpensive titanium dioxide releases ROS when triggered by ultraviolet light. But because oxidating molecules fade quickly, BPA has to be close enough to attack. That's where the trap comes in. Close up, the spheres reveal themselves as flower-like collections of titanium dioxide petals. The supple petals provide plenty of surface area for the Rice researchers to anchor cyclodextrin molecules. Cyclodextrin is a benign sugar-based molecule often used in food and drugs. It has a two-faced structure, with a hydrophobic (water-avoiding) cavity and a hydrophilic (water-attracting) outer surface. BPA is also hydrophobic and naturally attracted to the cavity. Once trapped, ROS produced by the spheres degrades BPA into harmless chemicals. In the lab, the researchers determined that 200 milligrams of the spheres per liter of contaminated water degraded 90 percent of BPA in an hour, a process that would take more than twice as long with unenhanced titanium dioxide. 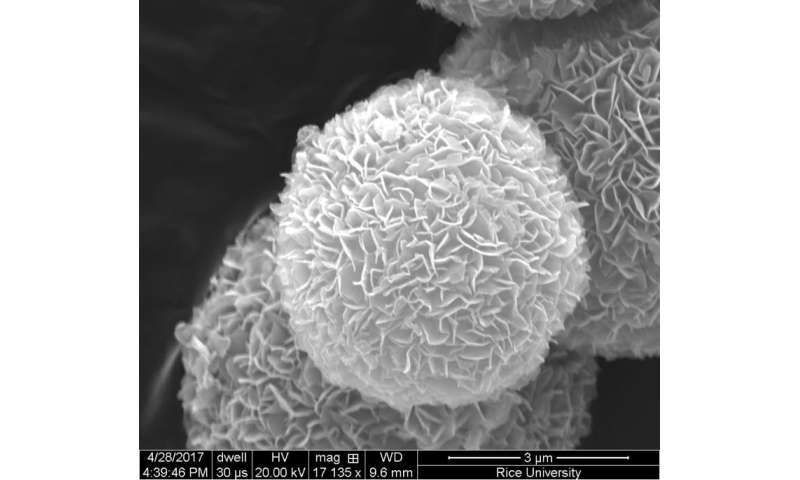 The work fits into technologies developed by the Rice-based and National Science Foundation-supported Center for Nanotechnology-Enabled Water Treatment because the spheres self-assemble from titanium dioxide nanosheets. "Most of the processes reported in the literature involve nanoparticles," said Rice graduate student and lead author Danning Zhang. "The size of the particles is less than 100 nanometers. Because of their very small size, they're very difficult to recover from suspension in water." The Rice particles are much larger. 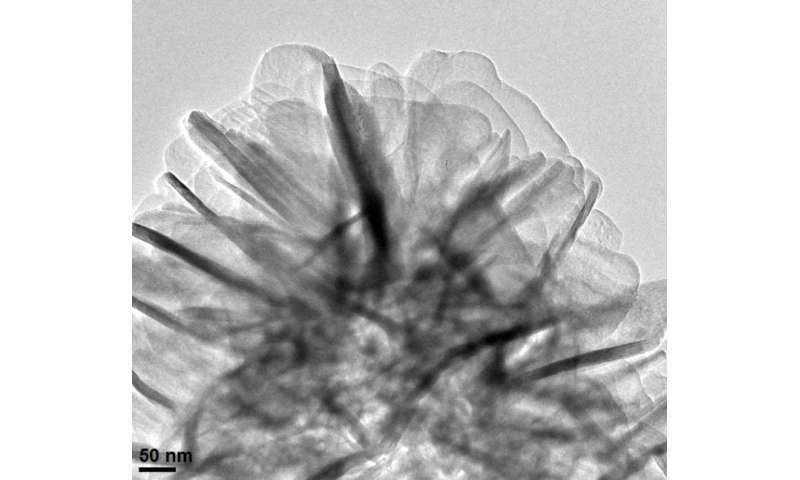 Where a 100-nanometer particle is 1,000 times smaller than a human hair, the enhanced titanium dioxide is between 3 and 5 microns, only about 20 times smaller than the same hair. "That means we can use low-pressure microfiltration with a membrane to get these particles back for reuse," Zhang said. "It saves a lot of energy." Because ROS also wears down cyclodextrin, the spheres begin to lose their trapping ability after about 400 hours of continued ultraviolet exposure, Zhang said. But once recovered, they can be easily recharged. 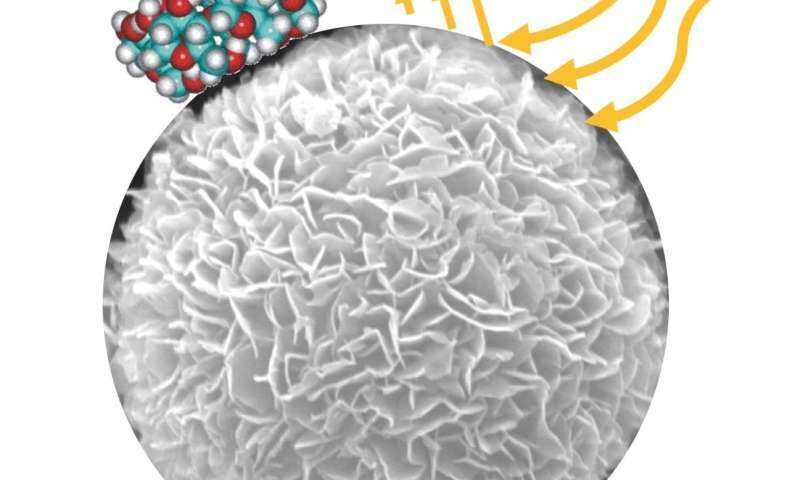 "This new material helps overcome two significant technological barriers for photocatalytic water treatment," Alvarez said. "First, it enhances treatment efficiency by minimizing scavenging of ROS by non-target constituents in water. Here, the ROS are mainly used to destroy BPA. "Second, it enables low-cost separation and reuse of the catalyst, contributing to lower treatment cost," he said. "This is an example of how advanced materials can help convert academic hypes into feasible processes that enhance water security."